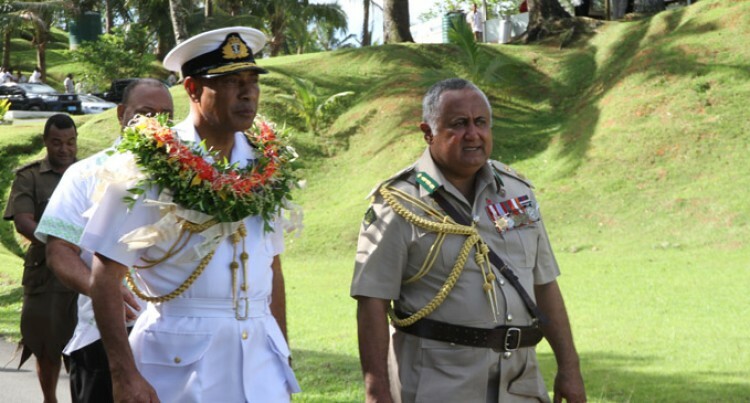 The Commander of the Republic of Fiji Military Forces (RFMF) Rear Admiral Viliame Naupoto yesterday invited members of the Fiji Corrections Service to watch the Ratu Sukuna Bowl Challenge at the ANZ Stadium, Suva tomorrow. And he wanted them to cheer for the RFMF rugby team so that they can wrest the Ratu Sukuna Bowl from the Fiji Police Force. Some senior officers from the RFMF were at the Naboro to support the Commander who was chief guest at the inaugural Corrections Day. Meanwhile, the Fiji Police Force defeated RFMF 1-0 to defend the football title at Bidesi Ground with the goal scored by Iliesa Nayasi. RFMF beats Fiji Police Force by four wickets in the cricket competition. The netball tournament starts today at the National Netball Centre.